WVI supports work to save the rarest cats on earth. WVI sponsored vet and big cat expert Dr John Lewis has visited the PRCNO Center for Rehabilitation and Reintroduction of Tigers and Other Rare Animals in the Primorskii region of the Russian Far East. 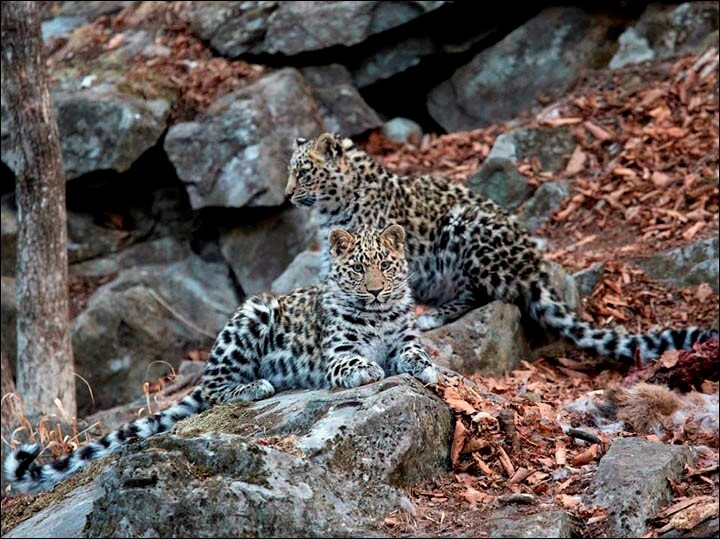 He is there to help efforts to save the Amur Leopard, one of the most Critically Endangered species on the planet. Sharing its territory with the almost equally endangered Amur Tiger, these two extraordinary species have earned the title of rarest cats on earth, and the fight is on to boost the precious wild populations that currently call the most easterly part of Russia, bordering North Korea and China, home. With just 100 Amur leopards thought to remain in the wild, experts from around Europe are working together to protect the wild population and boost their numbers. The work of the dedicated local team at PRCNO, with help from partners such as WVI, is going someway to protect this fragile wild leopard population, and recent estimates show a more than doubling of the wild leopard population over the last decade. But the still tiny number of animals in the wild means that inbreeding is a major concern. This is where WVI sponsored vet Dr Lewis is using his expertise, not only to help the Russian team as they work to rescue and rehabilitate the wild leopards, but also by collaborating with colleagues on the Endangered Species Breeding Programme to maintain and build a population that is genetically healthy, to minimise the risks associated with too much inbreeding. With animals as endangered as the Amur Leopard and Amur Tiger, every individual matters, and the team at the Russian rescue centre work under very demanding conditions to rescue and rehabilitate orphaned or injured animals. WVI and Dr Lewis have been offering advice on the veterinary management of these animals, but are now set to play a bigger role in the efforts to boost the wild population, and to try and keep future generations as healthy as possible by widening the gene pool. One strategy is to breed captive leopards from EAZA zoos at specially designed off-show facilities, either in Europe or the Russian Far East. Their offspring would be 'hardened' in RFE before being released. A complimentary approach would be to translocate (move) leopards from where they are doing reasonably well in the wild to establish a new population. 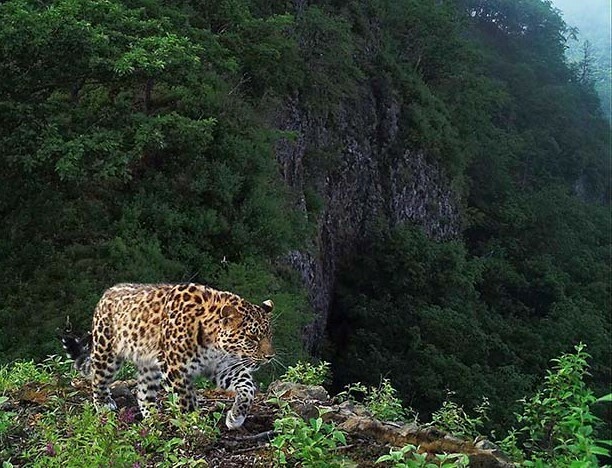 These different ways of achieving a second Amur leopard population in the Russian Far East are by no means mutually exclusive. Identifying the risk of disease from any translocated or reintroduced leopards is important to avoid introducing novel pathogens into the release area, or exposing translcoated/reintroduced leopards to new risks. The comprehensive disease risk analysis developed by Dr Lewis and Dr Alex Tomlinson is equally as valid whatever the animals' origin. Part of that analysis has depended heavily on WVI and the work of John Lewis in maintaining a database of the health of the Amur leopards currently found in European zoos. Which, together with the EEP studbook is proving invaluable in selecting the healthiest individuals to reintroduce back into the wild. "A second population of Amur leopards in the wild is urgently needed to protect the species against genetic impoverishment and vulnerability to outbreaks of serious infectious diseases in prey species" says Dr Lewis. This database has already been used for many years to ensure a healthy breeding programme for the captive zoo animals. John, in his role as veterinary advisor to the captive European Endangered Species Programme (EEP), is now using this information to help identify the best animals to re-introduce to the wild so that they boost the gene pool and minimise the risk of introducing any disease that could threaten the wild leopards. John’s role with this reintroduction programme, sponsored by WVI, means that the Amur Leopards are getting a real chance at survival and we hope that there is more good news over the coming months and that we see the numbers of these incredible creatures slowly begin to rise.